'Panic' and 'mourning' are two pivotal constructs that often emerge and interplay under circumstances of conflict, violence, crisis, and catastrophe, both natural and man-made. Whereas panic tends to crop up during the experience of violent events, mourning, on the other hand, relates to the aftermath of a brutal disruption and to the way humans try to make sense of it retrospectively. Conversely, violent events can leave a thread of panic in their aftermath, while mourning can be unsettled, interrupted or even refuelled by another catastrophic incident. 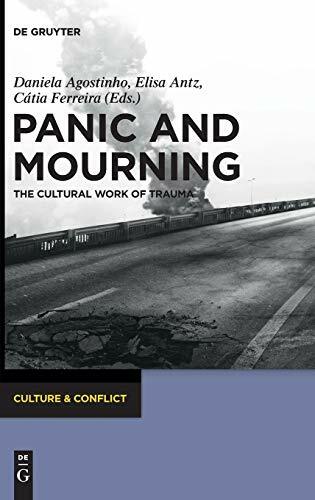 From an international and inter-disciplinary outlook, this volume wishes to address questions at the interface of panic and mourning and their impact on practices in literature, media, and the arts. Since violent events take place within cultures that will draw from their traditions, memories and systems of beliefs in order to process them, the authors of this book aim precisely at discussing the effects of calamity upon the cultural structure and the way literary, artistic and media practices not only reproduce individual and collective anxieties but also generate knowledge and reshape the cultural formation within which they emerge. Daniela Agostinho and Catia Ferreira, Universidade Catolica Portuguesa, Lisbon, Portugal; Elisa Antz, Justus-Liebig-Universitat Giessen, Germany.